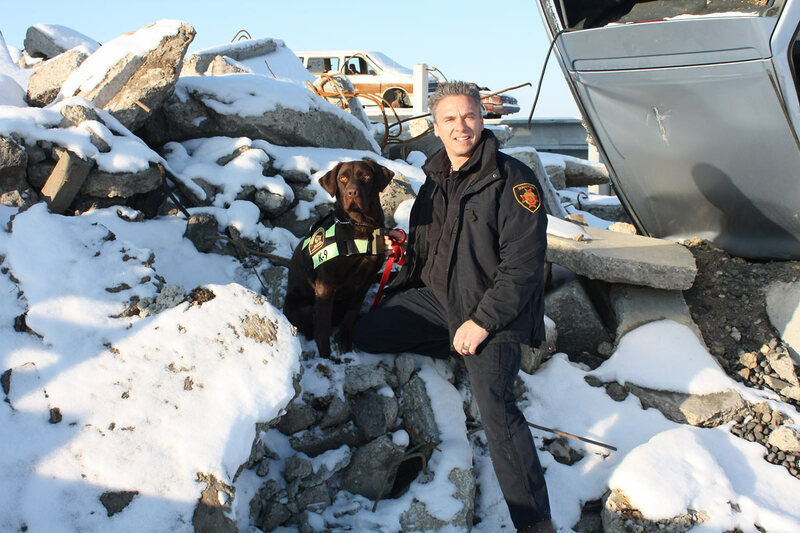 Canine teams used for ground search in the Province of Manitoba must meet a standard that is acceptable to the Police Agencies that are responsible for Ground Search and Rescue (GSAR) in the province. The Office of the Fire Commissioner, through the Manitoba Emergency Services College is now offering certification of Canine teams to the provincial standard and will be offering training for selected Canine teams to help them make that standard. The Provincial GSAR standard consists of two levels. To work a dog during an actual incident it is required that the Canine team has been certified to a minimum Level I Standard. A list of Canine teams that have received Provincial Certification will be made available to the OFC as well as the Police Agencies in the province for their use. Can TF-4, one of five National USAR teams. How can I become involved in Canine Search and Rescue? 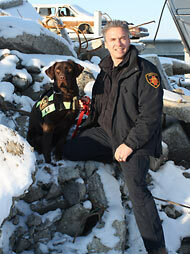 Read about the upcoming K9 courses and Search and Rescue related articles.